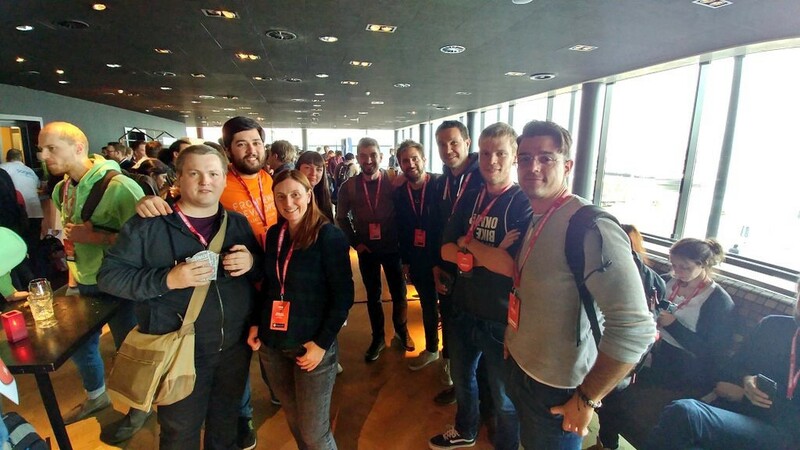 The first day was all things frontend so not just Vue.js. 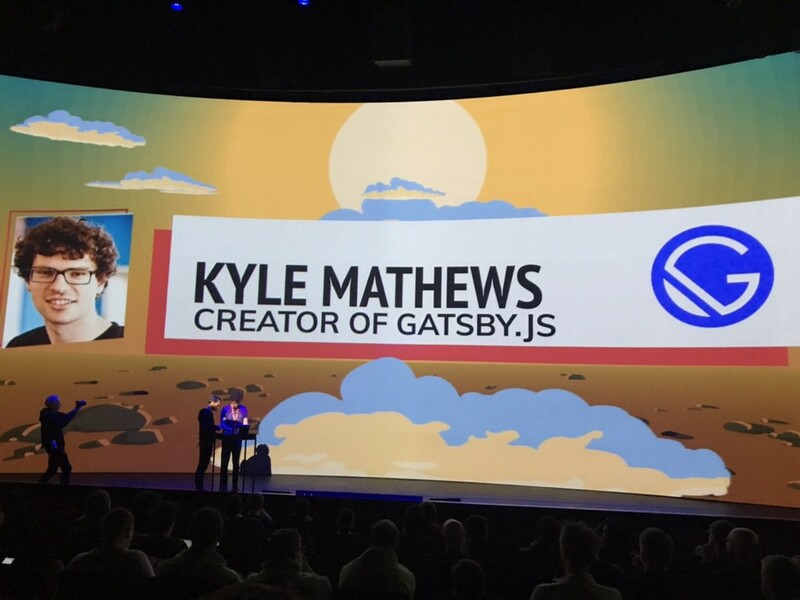 This was a great talk on what the future will be like and will we need things like webpack to make sure we can write code the right way and bundle it together. 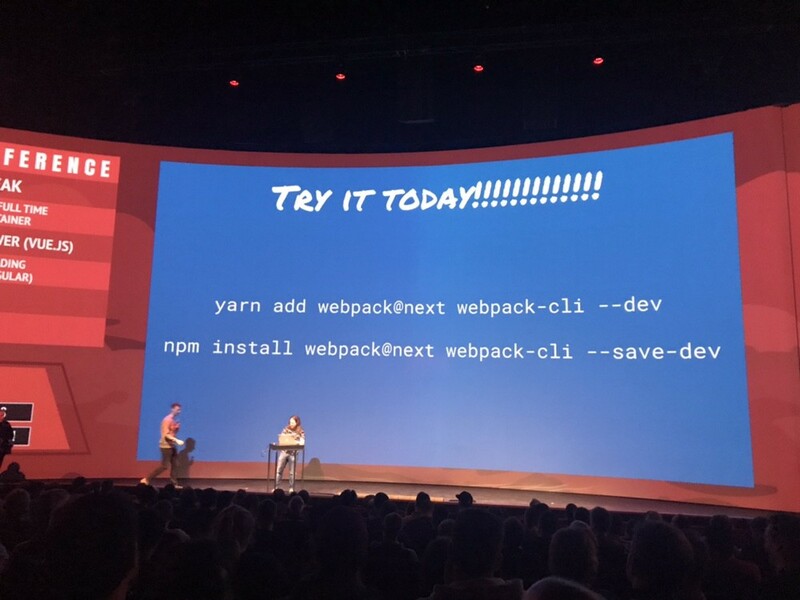 The browsers of course are not ready for this and that is why webpack is so necessary but in the future webpack’s purpose will be different. 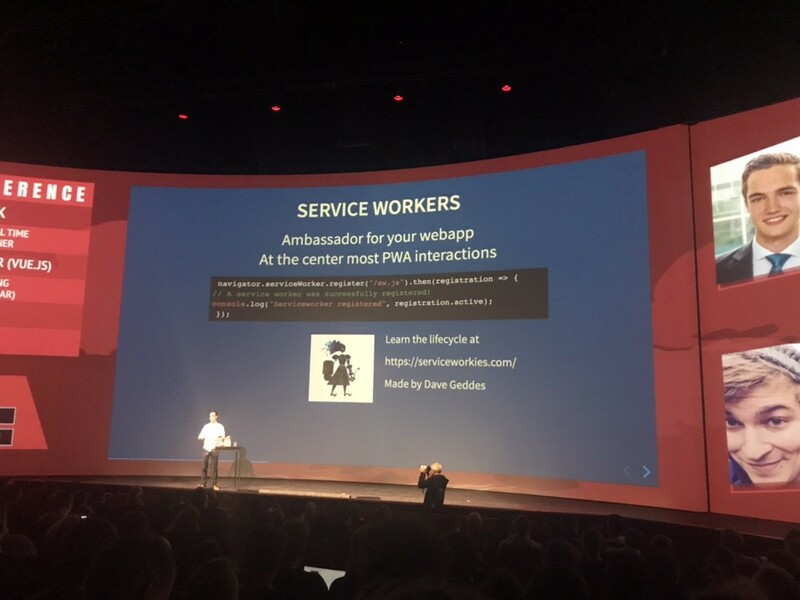 Sean talked about the changes we are going to see in webpack 5 and how it is going to be really boring as they are doing so much behind the scenes that we will not notice much changes but our build times will be much faster. This was a nice talk on animations using angular and what not to do so as things come across as natural movements. Interesting talk on breaking things down to create micro frontends. This was a really interesting talk on angular web components that just left everyone thinking oh my god angular why do you make things so complicated. It’s incredible at how many people dislike angular because it’s just complicated for no reason at all. Still it was a good talk. I think it would put anyone off trying to choose angular over Vue. This was a great and interesting talk on service workers and Progressive web apps which is something that is super important right now especially since google added it to the google store and it now has full browser support but it was good to see how easy it is to setup and how the notifications work and that you can only ask the user once to install it on their home screen so you have to time that properly. PWA’s are interesting for the right project but are for sure worth looking into. This was a great talk on testing with Jest. Jest has come a long way since we started testing it out a year ago. Now I would for sure choose it over Jasmine, Mocha or Chai. Rick showed us some really cool things you can do with it to make your tests cleaner and for sure we should all be doing testing even though most people aren’t as it takes time. Writing tests means less bugs later on. Also when people learn to write tests they think of things from a different point of view so it’s always good to have a team working with tests. This was a great talk on graphQL. I love graphQL and would be so great to work with it. It basically just gives you back what you need from the JSON as opposed to giving you the full JSON like in Rest. It’s just nice. Perhaps we shall work with it in the future. This was an interesting talk on Gatsby by the creator of Gatsby and seeing how much it has improved. He has done a great job and it’s pretty cool but it’s for react based apps so something I won’t be using but good to know how it works etc. This was interesting to see what Evan’s life is like as an open source maintainer, how he explains to his family that he gives his work away for free and then people donate money to him so he keeps working on it. 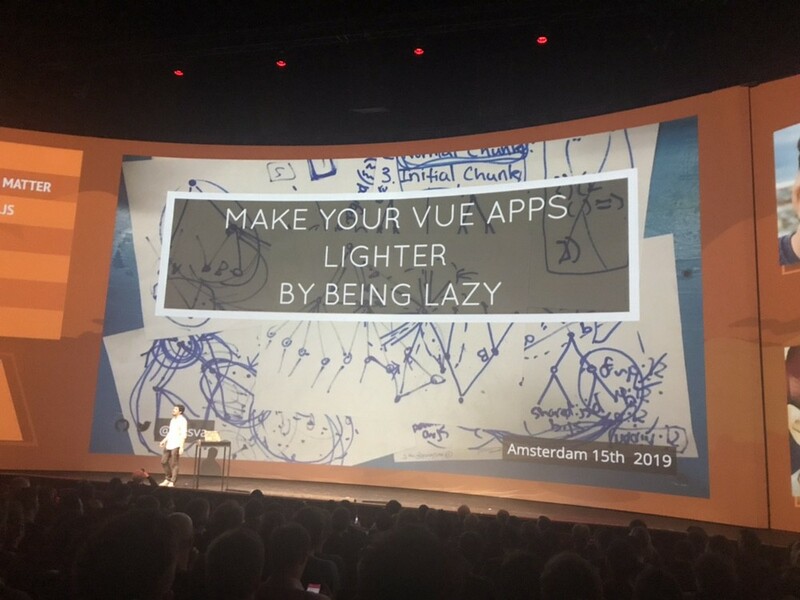 Also he talked about how it just happened and then decided to give up his full time job to maintain Vue.js full time. This talk left everyone thinking ‘Seriously angular is there no better way?’ It was a good talk on schematics and I can see it’s use case on certain projects so that you set up everything once and then install it so that all projects have the same folder setup and global styles etc but it is a lot of work and something I would really have to test out and play around with before going ahead and using it. Good but complicated but then again that’s Angular for you. 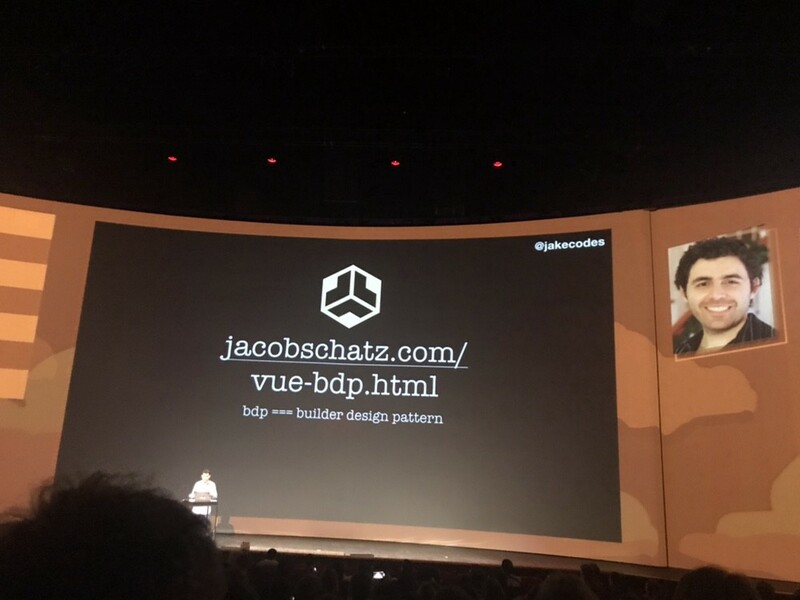 This was a great talk on the future of Vue and what is being done to make it better. It was also good to see the statics. 700,000 weekly active users, 3.3 million downloads a month on NPM and 461 million hits a month on jsDelivr CDN. 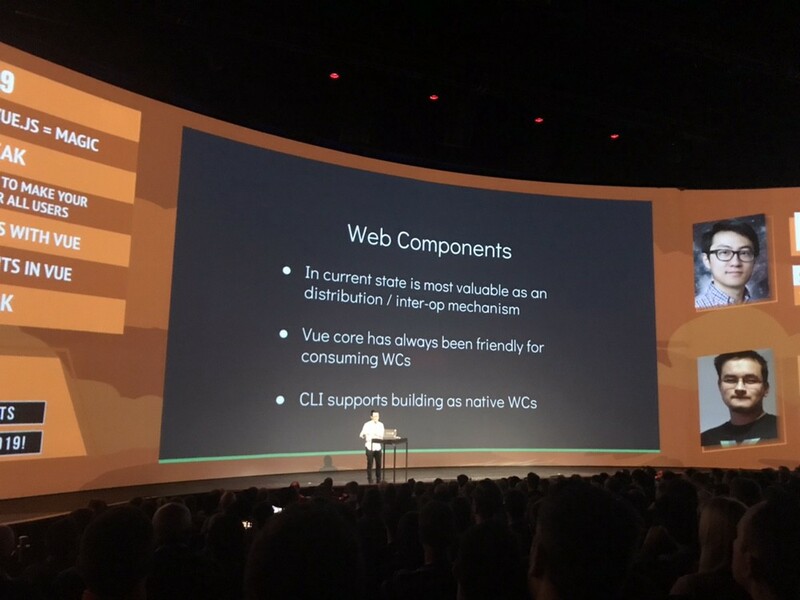 Evan also talked about web components in Vue and how the CLI supports building as native Web Components. This talk was a last minute add in as Sara Drasner was ill and couldn’t make it. 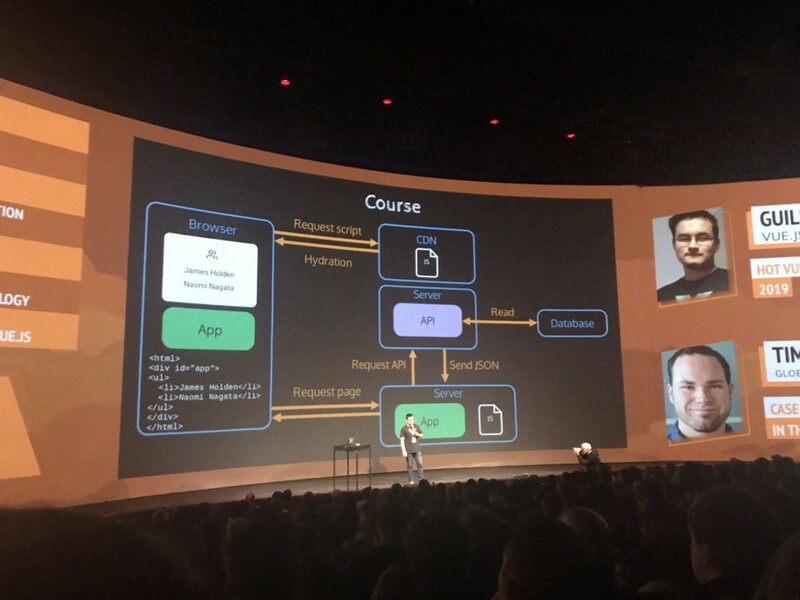 It was a great talk on differences between server side rendering, single page applications and static pages and the benefits and differences between them all. 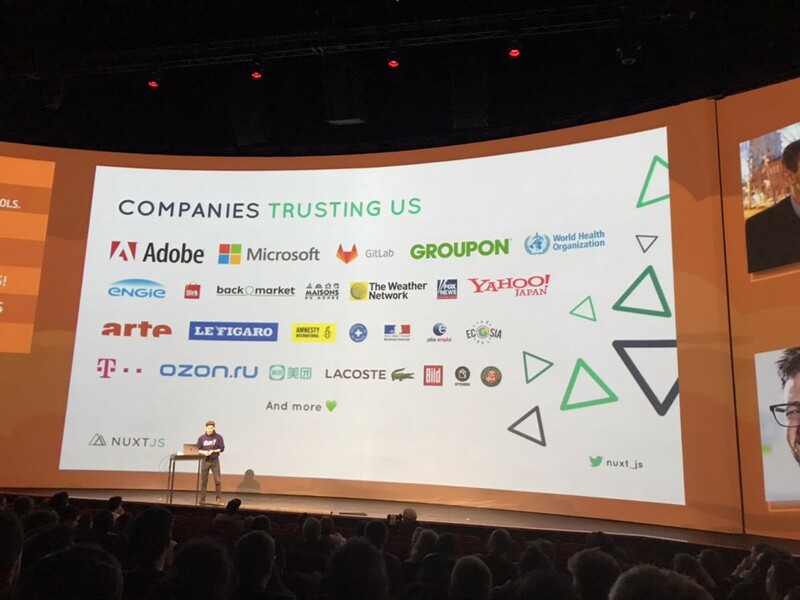 This was an incredible talk on how L’oreal are using Vue across all their brands. Their aim is that all brand websites will be on the same platform, will have the same technology stack and will adhere to the same KPI’s. L’oreal Paris has 60 markets which all need localisations. They deal with RTL, non-latin fonts, different KPI’s, different 3rd party integrations and local market adaptations. L’oreal Paris — no-js version, SEO, mobile first, progressively enhanced, async/lazy, fast. 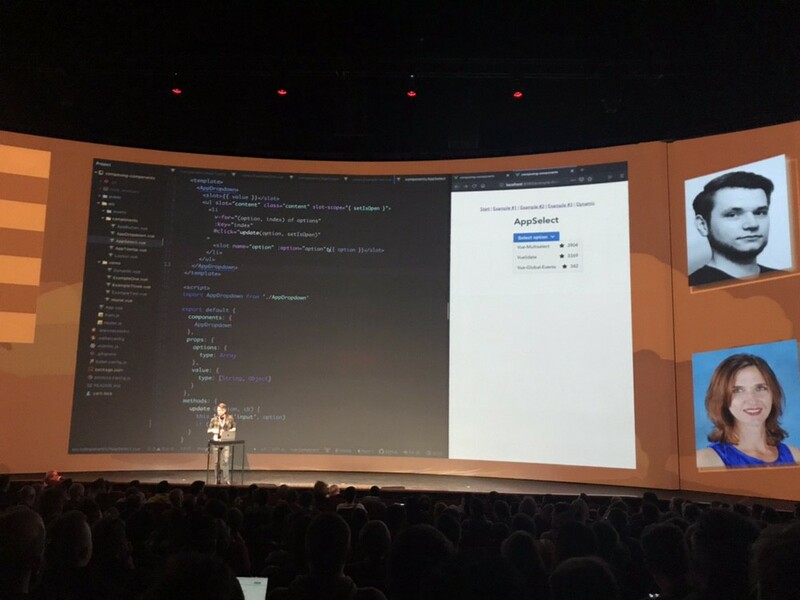 And to do all this they use Vue component files, vue devtools, vuex, vue-cli, cli-plugin-unit-jest, vue-test-utils, webpack wrapped by vue-cli-service, webpack-chain for configuration of site core helix structure, aslant — configured by vue-cli. 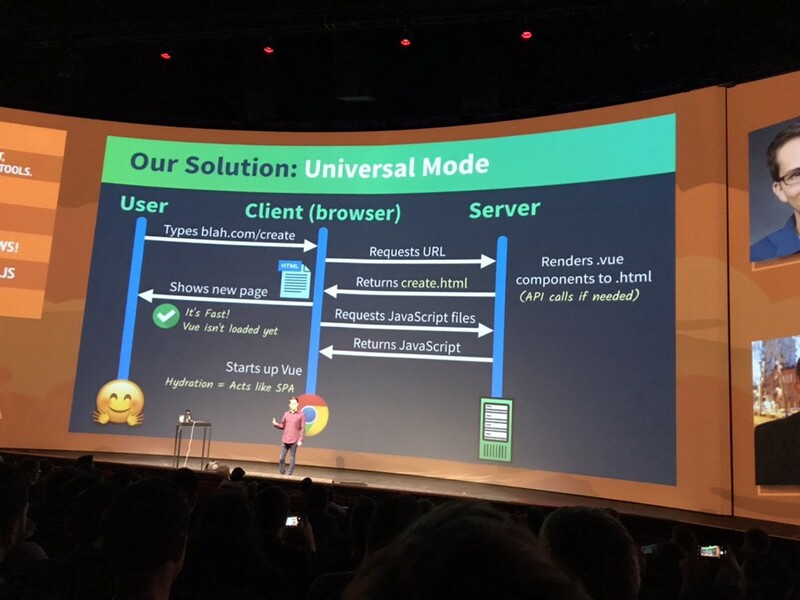 Why Vue? Because it is simple to use. 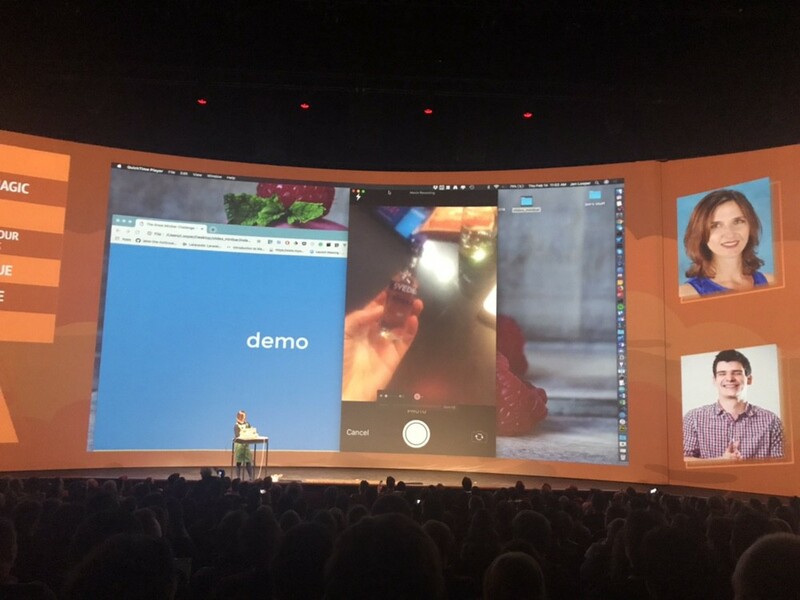 This talk was really good fun from making cocktails to creating an app with nativeScript Vue and was interesting to see how easy it is to do. Great talk on GraphQL with Apollo and Vue. Really love GraphQL and how easy it is to query. For sure one day we will be doing stuff with graphQL. Great talk on accessibility and how to make your apps more accessible. 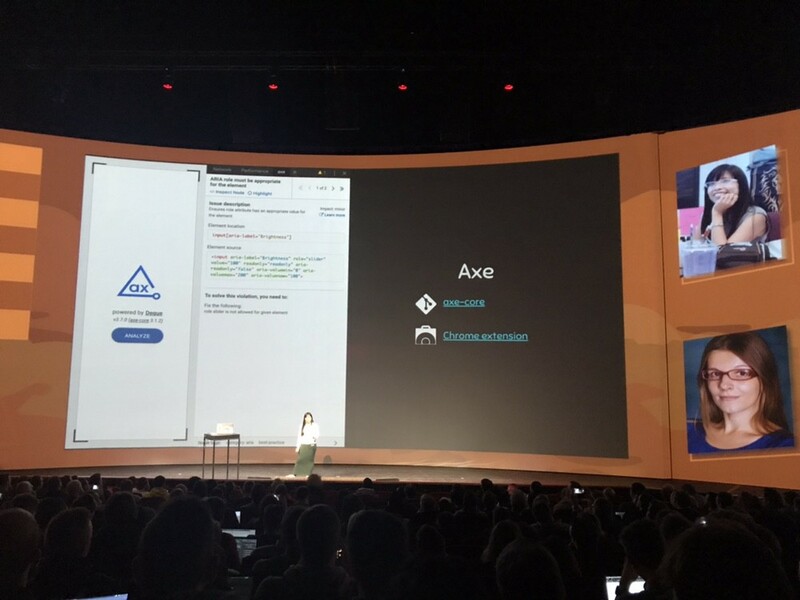 She showed us how we can use axe-core as a chrome extension to test our sites for accessibility with guidelines of how we can fix things. Also NoCoffee Simulator to test contrasts for people with vision problems. Interesting talk on how to build desktop applications using Vue. 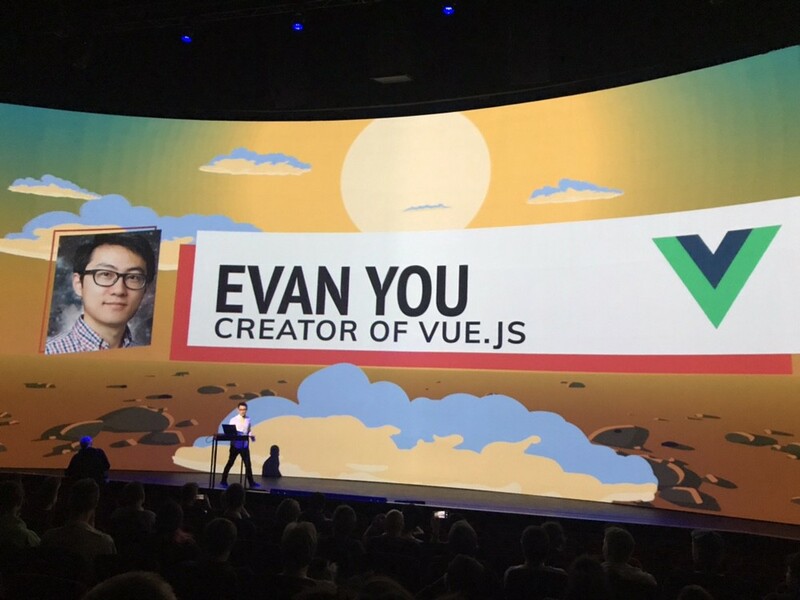 Not something I see us doing any time soon but good to know it’s possible with Vue instead of just ionic. Great talk on Vue components, how you shouldn’t build them and how you should especially using slots and named slots. It was nice to see the contrast with how easy it is to create clean components and some great examples of slot uses. This was a mini talk on what is happening next in CodeSandbox a tool for sharing code created by a 22 year old so he could share code with colleagues when he was working remote. It’s now a very successful project used by millions of people including me. Now he is working on it full-time with an amazing team to make it even better. He is amazing. 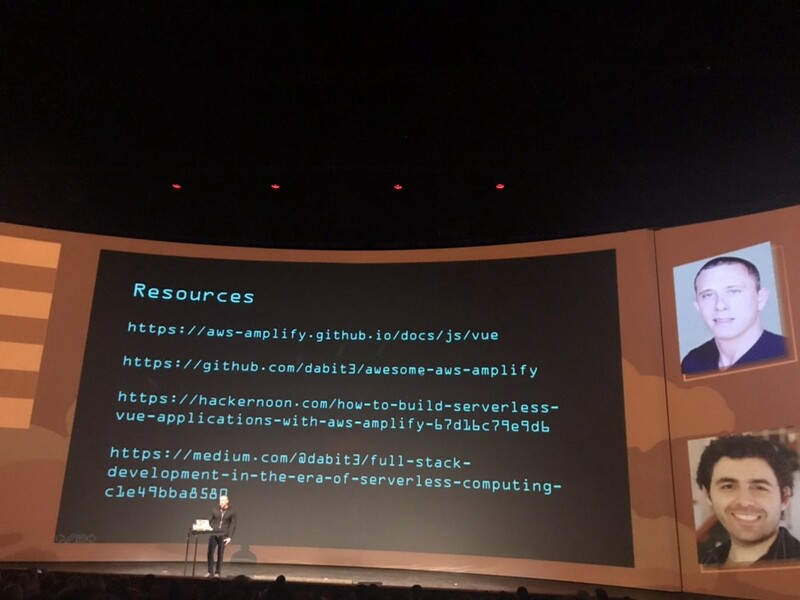 This was a really cool talk on how you can deploy to Amazon using aws-amplify and how you don’t even need any backend developers because you don’t need any servers. Really really cool. 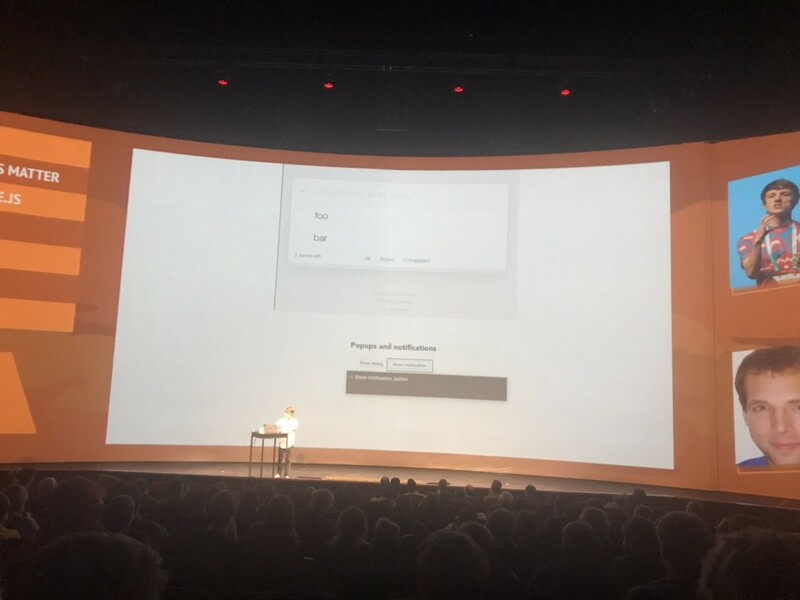 This was a really cool talk on how to create your forms by building a form builder component kinda like creating your own form components that can be reused with different variations. 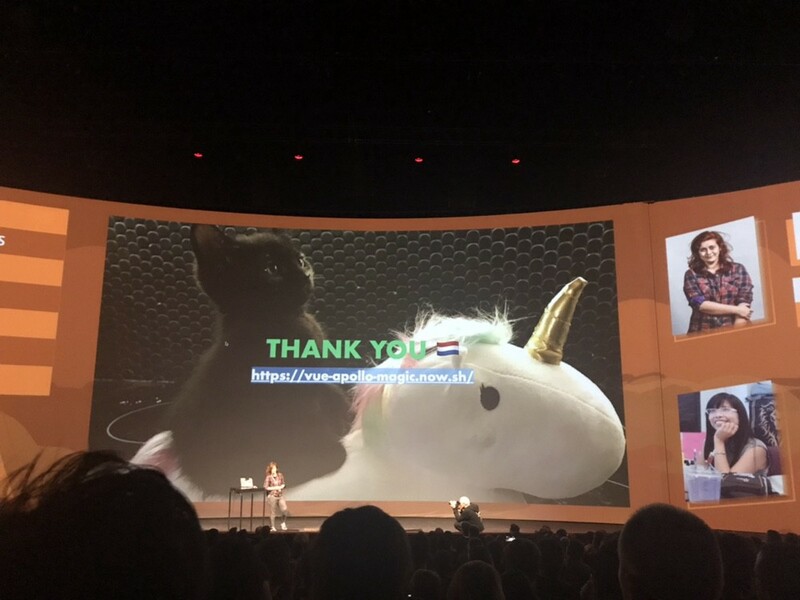 This was a great talk on how to create a plugin in Vue. Would be cool to do it one day and Guillaume showed us how it is actually quite simple to do. 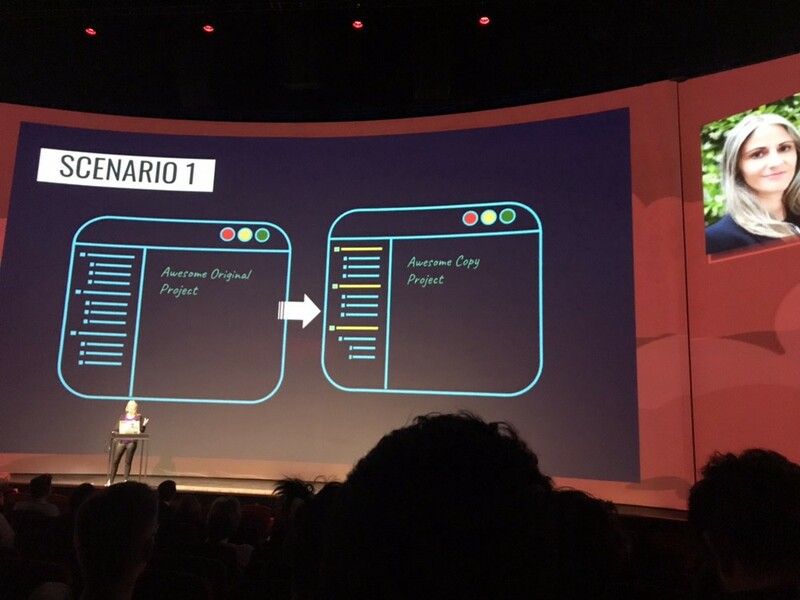 This was a great talk on when you should use static pages instead of a single page application as it is easier to index and crawl and how hidden and visible content is available on initial render. They also talked about asyncData which runs before loading the page component and how to use the generate property to generate dynamic routes. 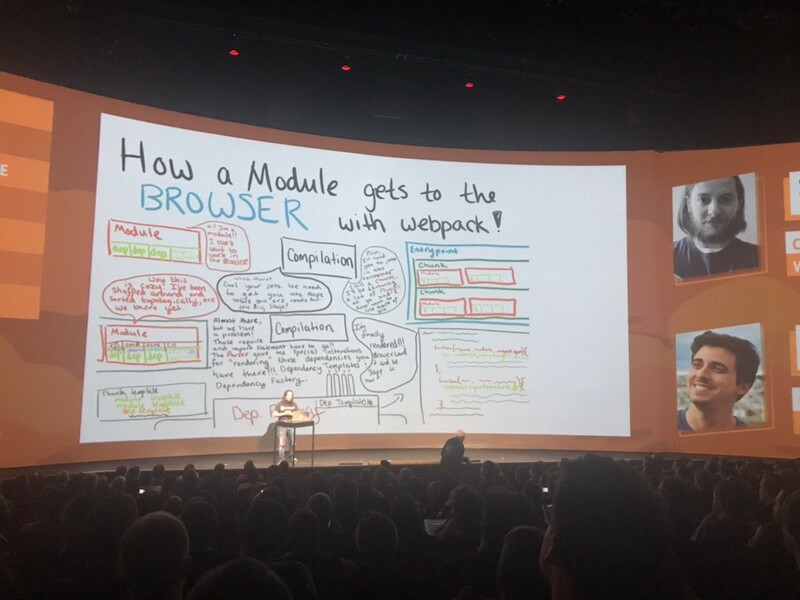 Sean did a great talk on webpack plugins and how weback is built from plugins, how it builds the graph and how a module gets to the browser with webpack. Really in depth behind the webpack scenes kinda stuff but very interesting. This was a really cool talk where Eduardo explained what tree shaking was — dead code elimination and how webpack works to eliminate this dead code and how in general to make your apps lighter by lazy loading your routes for example or prefetching certain components. 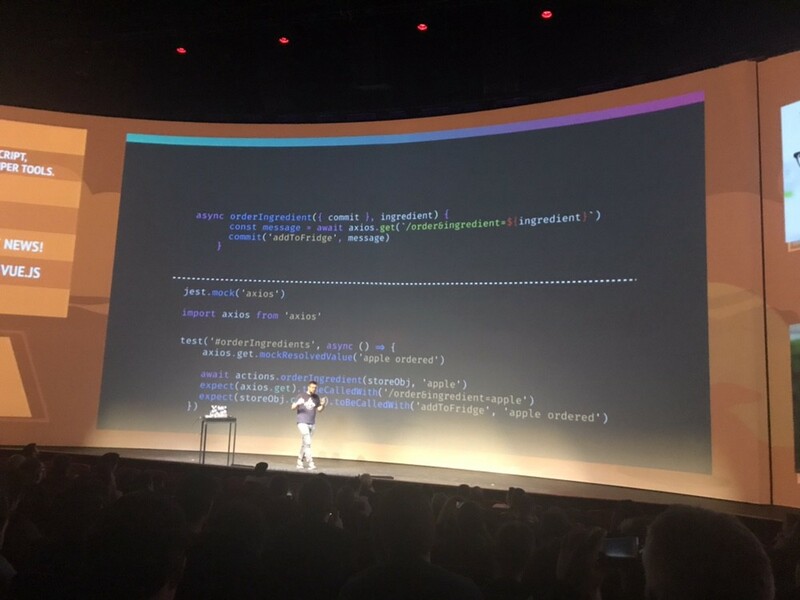 This was a great talk by Quique and he really knows his stuff by I have no intentions of using typescript in Vue right now. Who knows in the future but for now I love Vue’s simplicity and adding typescript is just not necessary. Backend developers need types as it is what they are used to and I can see the reasons behind it but am not sure if we all need to be going down that road. 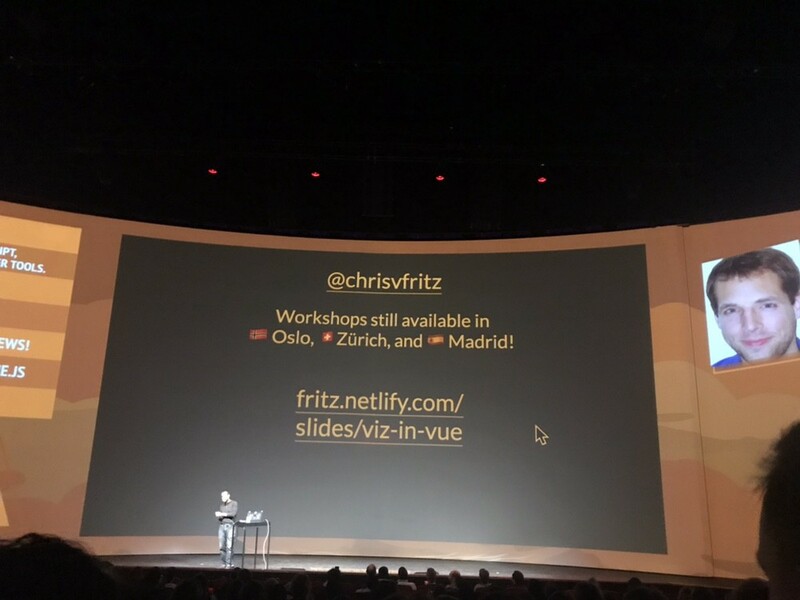 But he also talked about Nuxt and universal Vue applications and how they work. 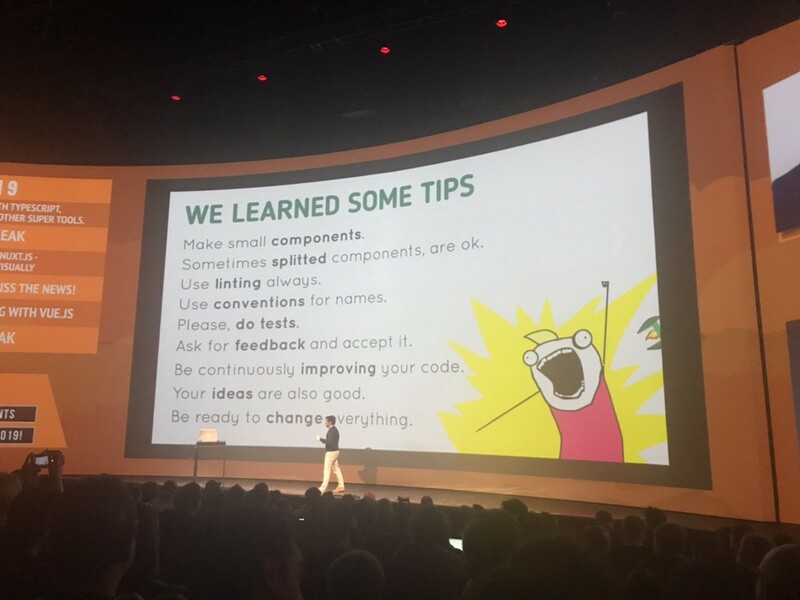 Also he gave us some great tips such as making small components, use linting, use conventions for names, doing tests, continuously improving your code and being ready to change everything. Great talk by Greg on how Nuxt works. I pretty much had already done this course and as I am creating a talk on Nuxt I knew all about this but was good to see how others were not so familiar and also good to know that I am doing everything right. 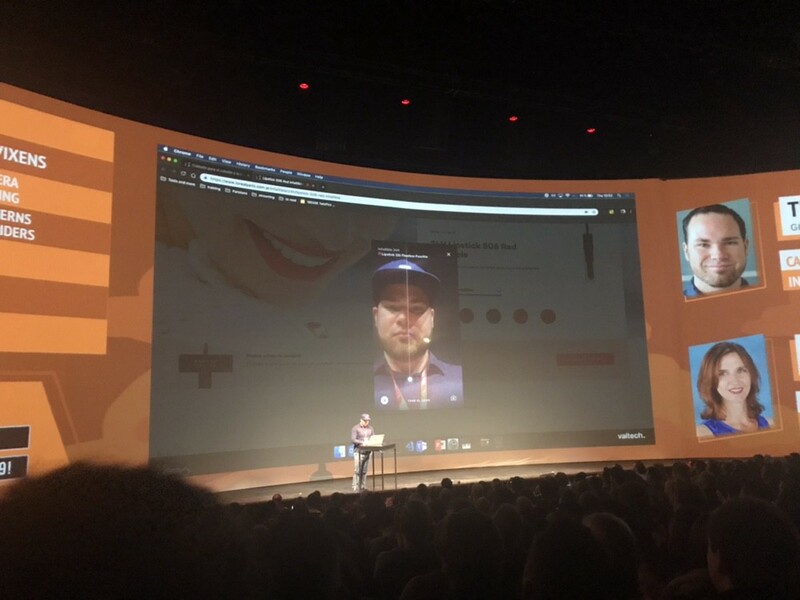 I had already had a sneak preview to what was coming up in Nuxt from my chat the previous night but was good to hear again and what was impressive was to see the companies that are trusting Nuxt, Adobe, Microsoft, Gitlab, Groupon, Yahoo, Lacoste, Fox News and many many more big companies. A great talk on testing with just in Vue with some great examples of testing async. Would love to have the time to deep dive into this and write more tests with jest. Great talk by Callum on accessibility by showing us what it was like for a blind person to use the web and how we can improve this and test things by using screen readers to see for ourselves. It really shows how important things like alt tags are or using the correct html semantics like a <button> for a button instead of an <input> or <a> tag for example. Really cool talk on using svgs and when you should be using them and what they can do and why you shouldn’t be using CSS for something that an SVG can be used for. I think I have managed to cover everything that happened during the 3 days in Amsterdam. It was action packed and my highlight was getting to hang out with all the amazing speakers and personally meet Evan You, such an amazing person and so friendly too. 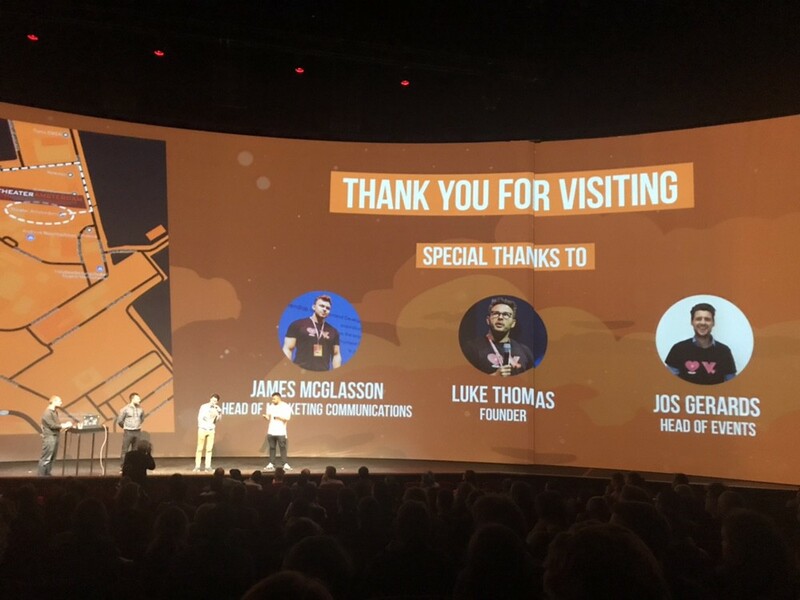 It was worth every penny and I will for sure be back at Vuejs Amsterdam and Frontend Developer Love next year.